We play a lot of games here at Dice Hate Me, and, therefore, become accustomed to the styles and practices of many different game companies. Recently, one company has risen to the forefront of our attention because of their promising new ventures and their tireless efforts at community outreach – Alderac Entertainment Group. Wanting to know more, we talked with Todd Rowland of AEG and asked him about his role in the company, their upcoming projects – including the horror-themed deck-building game Nightfall – and some of those community outreach programs in which the company strives to participate. What is your specific role at AEG? I am the Senior Brand Manager, which basically says I do a lot of stuff. Of course that’s not saying much as everyone at AEG wears a lot of hats. Right now my direct product development responsibilities are Nightfall and the 4th Edition Legend of the Five Rings (L5R) roleplaying game line, as well as marketing for all of our game lines (Nightfall, L5R, Thunderstone, etc.). How did you get started with AEG? Many years ago I was playing L5R and Warlord, when I started a Warlord fan site. I later met up with the company at Gen Con, left my resume and went back to my life. A few months later I got a mail from John Zinser asking if I wanted to manage Warlord. I stepped into that role, and from there moved on to managing Legend of the Five Rings for a number of years, before moving over to board games and general marketing. 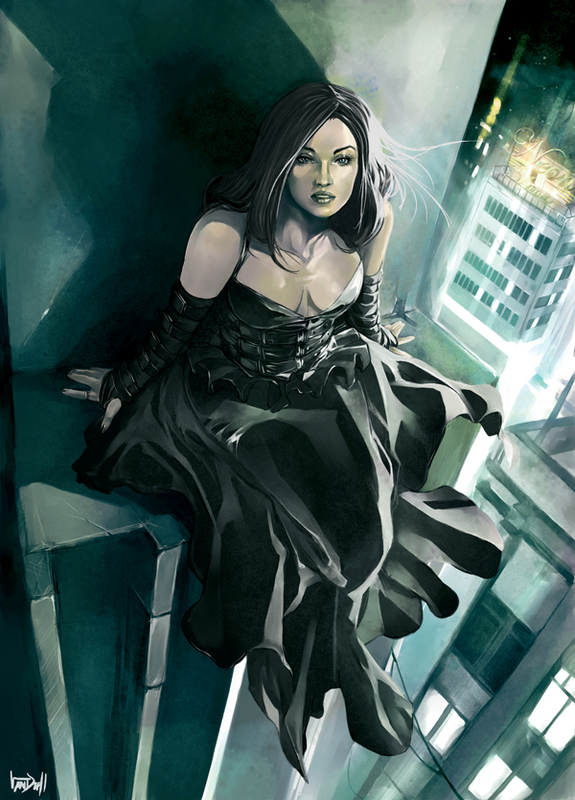 In recent years, Alderac has been known for quality card games with L5R and Thunderstone. Some of the biggest buzz in new games this spring comes from Nightfall. Can you give us a brief summary of what Nightfall is all about? 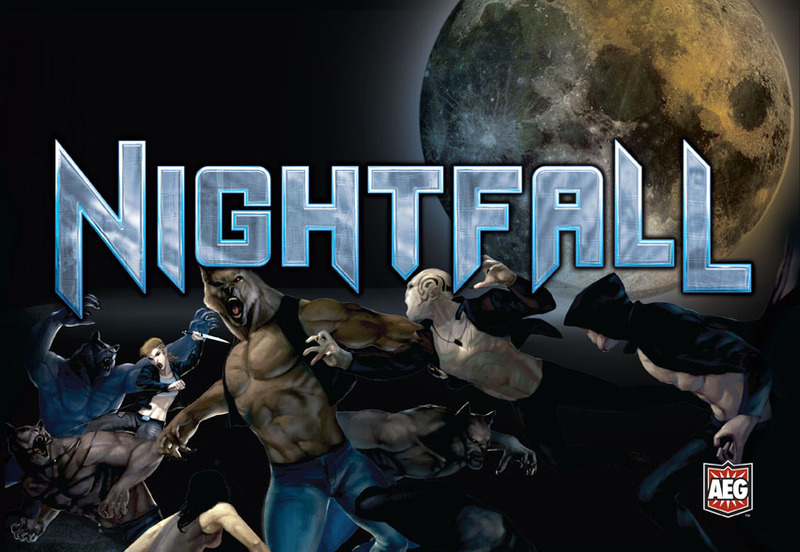 Nightfall is a deck-building game set in a world where the sun has mysteriously left the sky, blanketing the world in a continual night. While humans grapple with the situation (and notice oddities like the temperature not falling), the creatures of the night appear and begin to openly battle for dominance. Not hiding in shadows anymore, these vampires, werewolves, and more are out to own the human cattle. Of course, many humans aren’t submitting without a hard fight. With so many “deckbuilding” games on the market right now, what is going to set Nightfall apart? When we looked at the deck-building market, we saw a distinct lack of a good head-to-head deck-building game. There were a lot of good games, but none that really showcased a competitive environment. Nightfall was originally a design called “Chainmaster” by its designer David Gregg, and when we saw his design we knew it could work as the answer to that missing element in market. Nightfall is all about fast-action, pummeling your opponents, and playing strategically to avoid taking your own bruises. Was anyone on the Nightfall design team wary of a horror-themed game? Was anyone afraid that Vampires may have become a bit played out in recent years? Quite the opposite honestly. Vampires and werewolves are somewhat evergreen. If done in a cool way it’s hard for them not to get attention. Yes, pop culture is on a vampire kick at the moment, and frankly that helps more than it hurts, but Nightfall is quite different from your teenagers running around playing vampires. What can we gamers look forward to next from AEG? Anything interesting you can tease to on the horizon? Well, we’re quite happy with the success of Thunderstone, expect a lot more from it this year, including a whole new way of getting the game this summer. Nightfall’s first expansion “Martial Law” is already going to press this week, so look for more to add to your minions of the night around June. As far as completely new games, well we have something we’re working on for Gen Con that we hope will blow people away. I’d love to tell more about it now, but the boss would kill me. In terms of new projects, how does AEG go about selecting the talent and ideas for the next release? Does the company accept open submissions from independent developers? We do accept submissions, but to be completely honest we’re drowning in them! We do our best to review them as quickly as possible but that can take a while, and we have limited bandwidth for production so our selection criteria is very specific and exacting. As you can see, Nightfall was an identified product, meaning we knew what we wanted when we started, as opposed to a blind submission, but we have had games come in blind that we really liked. In fact the one I talked about releasing at Gen Con was a submission, and we think it’ll be our showcase release for the latter part of 2011. The board game community recently rallied together to provide support and raise money for Tom Vasel and his family when they lost their son, Jack, to complications after birth. AEG provided a very generous donation of games for the auction on boardgamegeek.com which warmed the hearts of many gamers, us included. As a company, has AEG been involved in community outreach or aid before? Would the company consider doing something similar in the future, if the need arose? Always. AEG has a long history of being involved in charitable efforts. We’ve supported Make A Wish via the “Make a Wish” promo sales for L5R and Warlord in years past, and we use as much of our events as possible to promote charity. 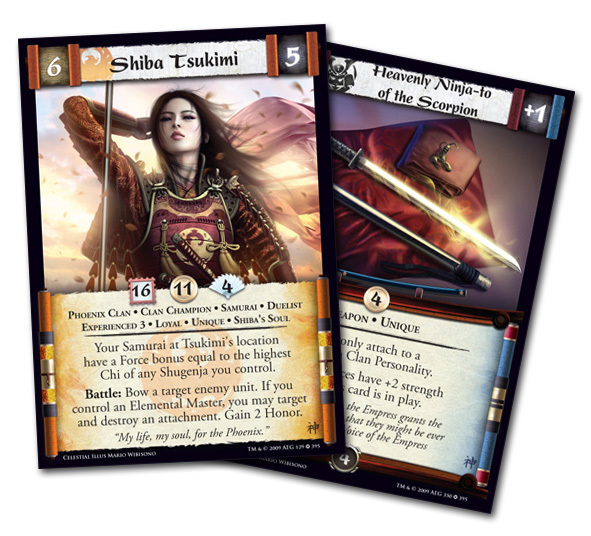 In Legend of the Five Rings, our flagship product, we occasionally have a “mega-game” that runs for a year or so, where the players of the samurai clans compete against one another for some set of story prizes. The competitions range from normal tournament events, to online competitions including poster designs, fan fiction, and more. And we’ve always included fund-raising drives (a whole 20% of a Clan’s score in the first mega game was “Spirit” which was our charity part of the game), and we’ve been astonished at the results. A recent event “The Topaz Championship” raised $25,000 for a local food bank (yes that’s right $25,000). That was a single tournament. My hometown game con, Mobicon, had a food drive where your donation was a vote for “Stargate” or “Star Trek”. Write in donations for “L5R” beat both of them by about 1,500 cans of food. So, yes, we do a lot to give back when we can. It’s just the right thing to do. Even if no one ever heard of any of it, we’d still try to do it as much as we could. I’m still working on some angle to get people into blood donation centers for Nightfall… We don’t think he’s kidding, people, which is why we love AEG as a company. 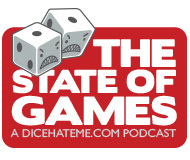 Be sure to check back with Dice Hate Me soon for more Nightfall and AEG news and reviews. Nice interview. AEG is quickly climbing the ranks of my favorite game companies as they have always been awesome to work with and I’m glad that they do so much for charity, too. I’m personally looking forward to Nightfall and am hoping to be able to play it (and review it) this weekend. Keep up the good work on interviews, Chris, I love reading them. Josh – Thanks, I’m glad you enjoy the interviews! And, yeah, I think AEG is top notch in the gaming community. They care about the product and the gamers. I’m jealous that you get to play Nightfall this weekend! I can’t wait to get my hands on a set. This was a good interview. It was interesting hearing about how he got to the position he is currently in. Fandom does pay off sometimes. Nightfall actually sounds like something I will try out. I’m usually not into deckbuilding games but the theme and buzz have my curiosity piqued. And Thunderstone is pretty good. 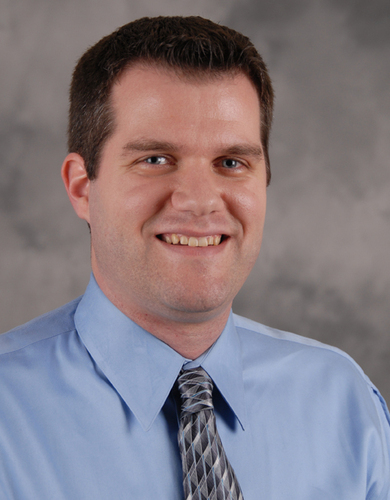 I comment AEG for their support of the community and for realizing that they are part of the community. I have been impressed with them so far. Keep up the good work guys. Tom – Thanks! Todd was very gracious and easy to work with. He’s sending me some Legend of the Five Rings starter packs to test out and review, so that’ll be fun. I think that AEG’s outreach is tremendous, and it would be great to organize a couple of gaming outreach programs here each year. That’s something I would like to look into in the future. Count me in on the outreach thing. That sounds fantastic and something that I’ve been thinking about for a while. We should talk off line. Tom – Absolutely, we should talk. With our minds and Monkey’s connections, we could really make something worthwhile happen.